Are you an innovative Startup working on Smart City development? Are you ready to show us what you got? If yes, we are inviting you to join us at UK-MENA Tech Forum on the 15th of June. You will be able know more about our Startupbootcamp Smart City program and how to apply. Who should apply for office hours? Startupbootcamp Office Hours sessions are open for all startups. If you are looking for targeted advice from leading Smart City experts, this is the place for you! Why apply for office hours? 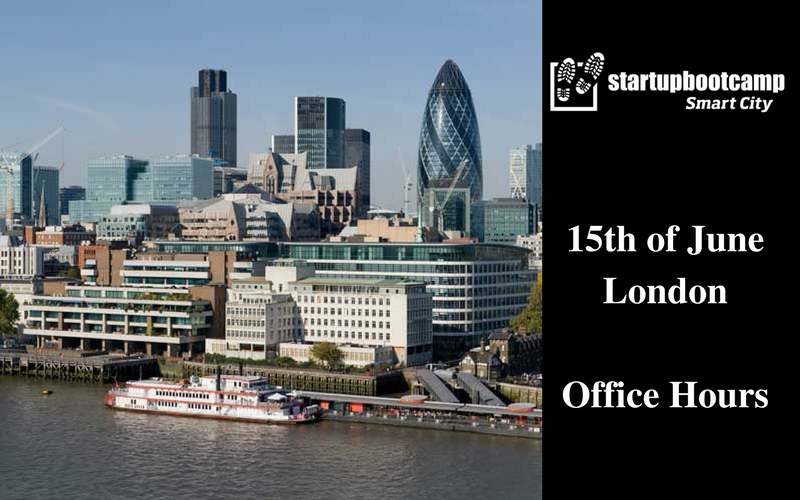 Startups joining the London Office Hours will receive immediate feedback from experienced entrepreneurs, investors, and industry experts, expand your network meeting other startup founders, and meet the Startupbootcamp Smart City team. How to apply for office hours? Simply complete this short online form to apply for the Office Hours held in London on the 15th of June, 2017. Applications close 4 days before the event, so make sure you complete your application by then!